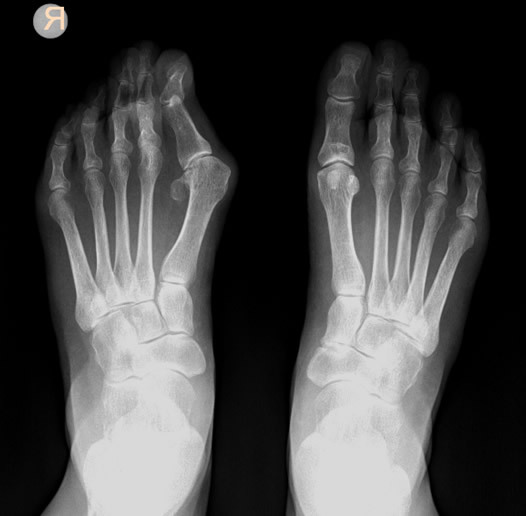 Halluks valgus; is described as painful swelling that develops in the joint between the big toe and first metatarsal bone. 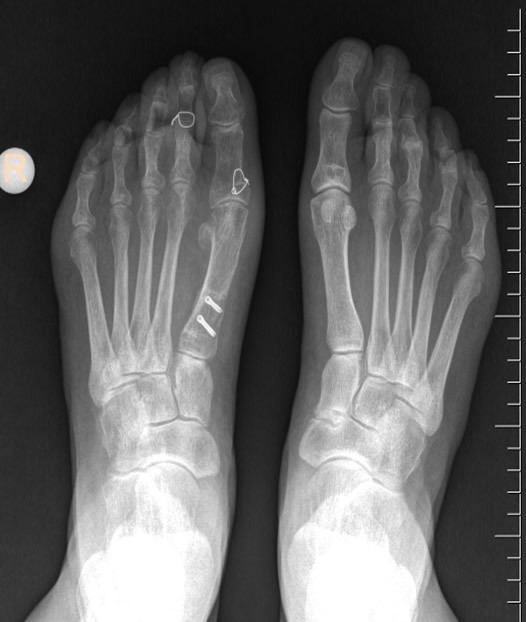 The main problem here is that, over time, the separation of the first metatarsal bone from the others results in a disruption in the alignment of the joint bone and makes a bunion bump on the inside of the foot. Besides these findings, it is common that, big toe leans inward toward to other fingers. The continuous pressure on the bunion bump,caused by the shoes, causes thickening both in the bone and the soft tissue covering that bone. The vesicle that is filled with liquid occuring in the region under pressure causes the bumps look even bigger. Even if most people belive that Hallux Valgux is caused by pointy-toed or high heels, this isn't the case. Hallux valgus is especially accepted as a genetic predisposition which progresses with shoe wearing. Hallux Valgus causes a pain related to the continuous pressure on the bump, difficulties in wearing shoes. In time, by the first metatarsal bone's going upward, defects in stepping on the feet emerge. 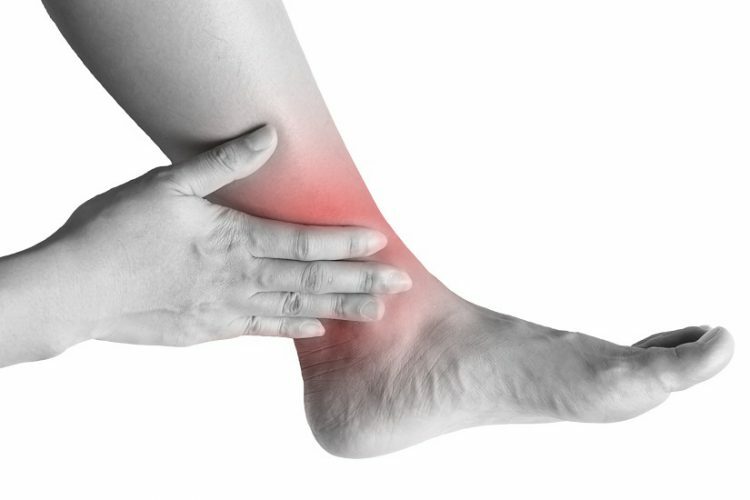 This situation leads pain to spread towards ankle and calf. There may be deformities on the little fingers too because of the first toe's leaning towards the other ones and the foot loses its aesthetic look. In the early period, symptom resolution and slowing the progress of the disease are the main treatments goals. For this purpose, there is some nonsurgical interventions are available such as the use of soft supports that protect the osteophyte, wearing shoes that are wide and high on the tip, using arch supports, using bunion splints, using pulleys to stabilize the finger correctly. In the situations when the conservative methods are insufficient or in the cases that the disease is progressed, it is possible to resolve the complaints and correct the foot's front looking with surgical treatment. Surgical methods applied in Hallux Valgus are various. Choosing the best feasible intervention considering disease and patient characteristics plays the key role in surgical success. In general, although the duration of healing is shorter in only those operations aiming at correcting the soft tissue, it is a common problem that such attempts are unsuccessful in the long term and that the complaints reappear. In those operations where bone remodeling is performed, the duration of healing is longer, but the permanent success rate is much higher. Foot surgeries are usually done with an anesthetic method called spinal anesthesia that aims numbing the legs. In this method, the patient is prevented from taking general anesthesia, and a pain control that extends up to 12 hours after operation is achieved. Most of the time there's no need to be in a cast after a successful operation. Hastalar, anestezinin etkisinin ortadan kalkmasını takiben günlük ihtiyaçlarını karşılayabilmek için bir çift koltuk değneği ile opere ayağının topuğuna ve dış kısmına basarak ayağa kalkabilirler. Patients can step on the heel and the outer part of the operated foot so as to meet their daily needs after the effect of anaesthesia wears off. 4 weeks for giving the full pressure to the foot, 2 months for bone union, 2-3 months period for patients to get back to their active lives are needed. There is no harm in starting worklife after 4-6 weeks.